Welcome from the International Clown Hall of Fame and Research Center! 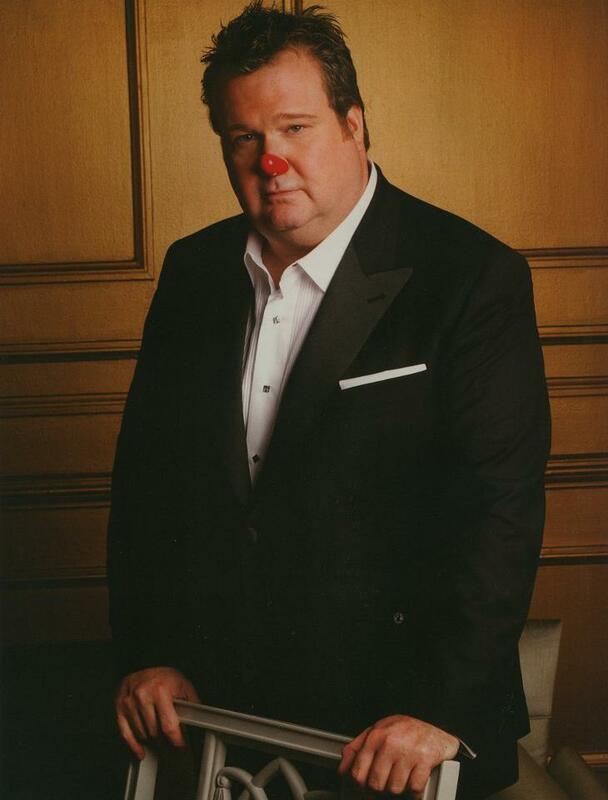 It is with great pride and excitement that we introduce our 2013 Annual Fundraising Campaign, Smile – One Laugh at a Time, with our special Honorary Chairperson – Emmy Award winning actor from ABC’s hit television show Modern Family - Eric Stonestreet! "As a kid, all I ever wanted to be was a clown in the circus. In a sense, my dream came true. It’s with great honor and respect that I get to be my childhood clown character, Fizbo, in the biggest circus of them all, Hollywood. Please join me in supporting the International Clown Hall of Fame and Research Center in their efforts to sustain and honor clowns and laughter. With smiles, laugher and a pie in the face! The International Clown Hall of Fame and Research Center is embarking on the biggest funding campaign in its 27 year history of bringing laughter, education and preservation to this thing we all love called clowning. We need your help today to continue our mission to “Preserve and honor the art of the clown”. This museum houses the largest single collection of clown artifacts in the world today. That is a lot of “stuff”. As we explain in our guided tours, behind each clown shoe, trunk, costume, photograph or scrapbook is a story. Sometimes that story belongs to a fairly famous clown name like Red Skelton, Emmett Kelly or Grock. More often than not, it’s the story of a working performing artist who devoted their life’s efforts to this passion and created laughter and memories. To share those stories is our honor. Since 1989 we have inducted 77 master clown performers into the International Clown Hall of Fame. We continue to strive to give back to our local and world communities through two dozen outreach programs, original historic DVD’s, interactive exhibits, education and training programs, research opportunities, oral history preservation, and to continue to honor those who have come before us, left a lasting impact on this art form and on who’s shoulders we all stand. I and the entire Board of Directors of the International Clown Hall of Fame and Research Center respectfully ask for your financial help to further achieve the goals and mission of this unique institution. Any gift amount is most welcome and deeply appreciated. Since opening our doors in our new home of Baraboo, Wisconsin in May of 2010, 100% of all donations, tour revenues, grants and gift shop sales have gone towards supporting our outreach programs, new display development, research opportunities and operating expense’s. As Executive Director, I performed my duties on a volunteer, no compensation basis for the past three years. If you’ve donated to the ICHOF before, we thank you for your generosity, kindness and support. We hope you can take a moment to reflect on our message, remember the laughter and support our mission. Donations can also be made through the PayPal Donate Button on our website, www.theclownmuseum.com. The ICHOF is a 501 (c) 3 not for profit organization, therefore your donation may be tax-deductible.